Manufactured by Merial, Frontline Spray provides comprehensive protection to dogs and cats from fleas and ticks. It is an ideal foil for severe prevailing flea and tick infestations. 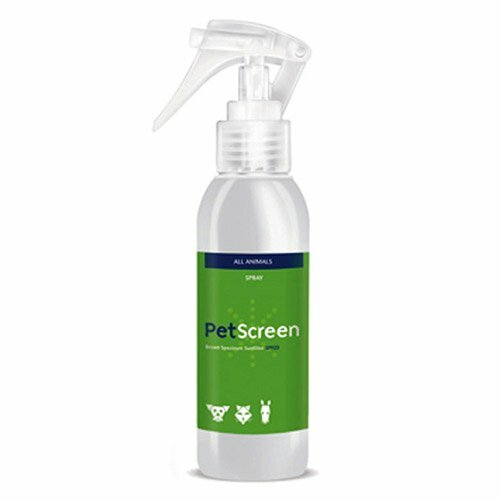 This spray also aids in reducing and controlling fleas and ticks in multi-pet households. This treatment is safe for pregnant and nursing dogs and cats. Fipronil is the active ingredient present in Frontline Spray. It is a broad spectrum insecticide that interrupts the central nervous system of the adult fleas and ticks thereby causing paralysis in fleas and ticks thereby killing them. 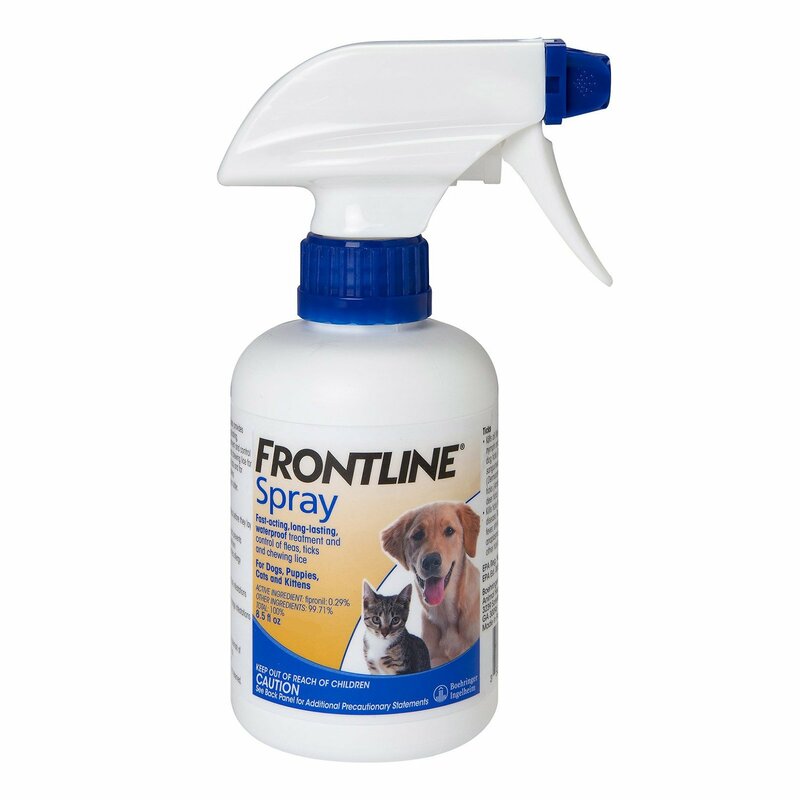 Thus, Frontline Spray protects dogs and cats from fleas and ticks. Frontline Spray has been developed by Merial to provide long-lasting and effective control against fleas and ticks on dogs and cats. It is effective in killing up to 100% prevailing fleas within a day's time of administration. It aids in controlling brown dog ticks when applied on a monthly basis. It even controls paralysis ticks when applied every 3 weeks. 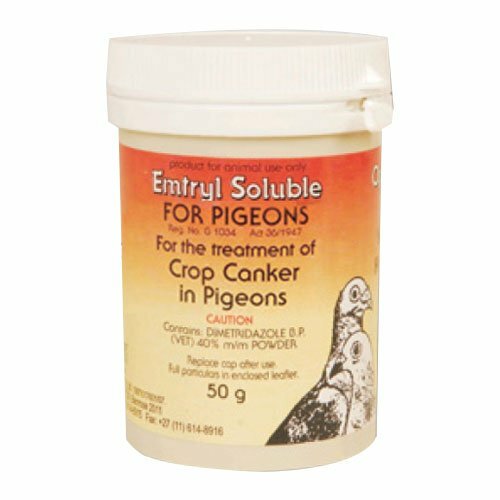 It is effective in controlling flea allergy dermatitis (FAD) when applied on a monthly basis on the affected pet. This treatment is recommended for puppies, kittens, dogs and cats from 2 days of age. This spray needs to be applied once in every 30 days. Always wear household latex gloves while spraying. Ruffle pet's coat with one hand while applying spray to sides, back, legs, stomach, shoulders and necks. For head and eye area, spray on a gloved head and rub smoothly into pet's hair. Ensure that the spray does not get into the eyes or mouth of the pet. Apply spray mist till the hair coat of the pet transforms from damp to completely wet. In most cases, 1 or 2 pumps per lb. of bodyweight is required. 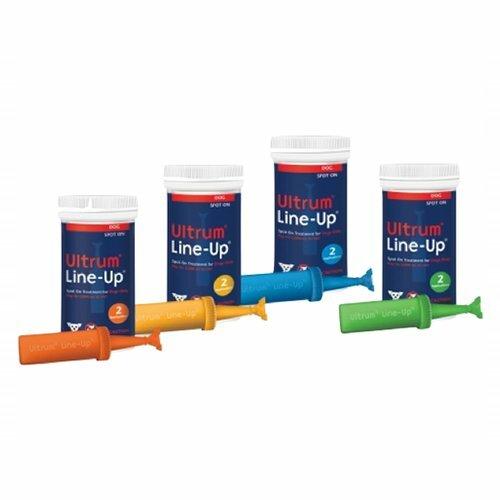 For detailed information on the administration of Frontline Spray, check the product label or contact your veterinarian. Check the expiry date on the product label before using the spray. Children and pets should be kept away from the spray. Dispose off the used portion wrapped the original container in several layers of newspaper and throw it off in the trash. For debilitated, aged, pregnant or nursing pets, consult with your veterinarian before administering the treatment. If the spray gets in direct contact with the skin of the human being rinse the particular skin spot with running water for 15 to 20 minutes. Keep the product away from heat and open flames. Never ever overdose the pet. In case of accidental overdose, contact your veterinarian on an immediate basis. The pet should not be bathed or shampooed a minimum of 2 days from the date of administration. The product needs to be kept in a room temperature below 30 degrees Celsius in original container. The treatment should not be ingested or absorbed through the skin by humans as it can be harmful to them. In case of accidental swallowing, contact your poison control center or physician as soon as possible. This product should not be administered on rabbits. This spray is only for external use. 11 of 18 found this review helpful. My lily was starting to have few reactions from spot-ons and upon searching the web for other Frontline products if available, used this one and its perfect for her. Easy to use and affordable. 693 of 758 found this review helpful. 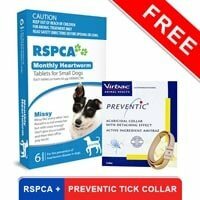 This is some incredibly great protection from Fleas n Ticks on my pooch. 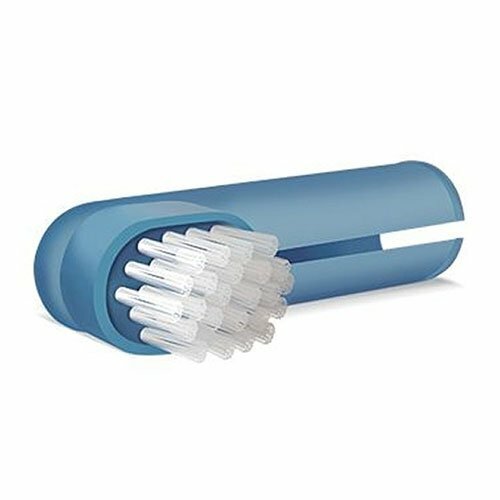 I will alway rely on this product and would recommend to others. In fact I'm getting ready to reorder more. 10 of 22 found this review helpful.